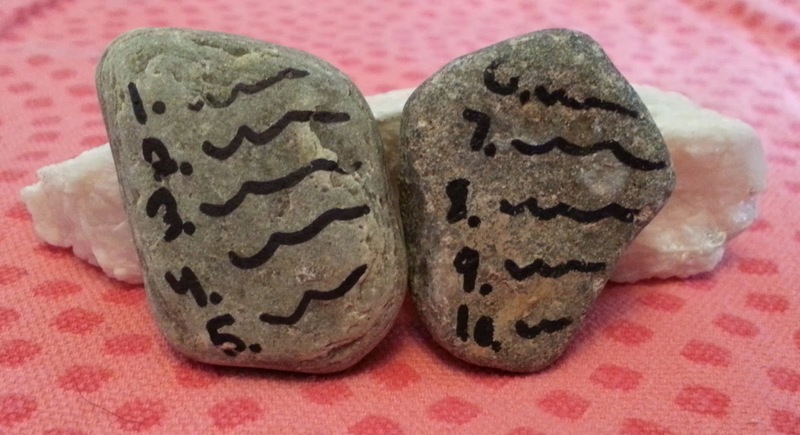 From SSL Kids - Ten Commandments Bible Craft - Make Stone Tablets Easy! This tutorial from the kids of Simple Suburban Living will show you how to make a super easy craft of the Ten Commandments stone tablets. All you need is your Bible, two rocks with flat surfaces and a marker. This is a fun craft to do on family Bible study nights. As part of our Bible study, we printed out activity sheets and coloring pages on Moses and the Ten Commandments. The Bible story is found in Exodus Chapter 20. Here are links to good sites to print activity sheets. All are free.